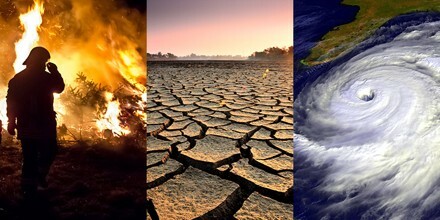 Climate Change is a change which is attributed directly or indirectly to human activity that alters the composition of the global atmosphere and which is in addition to natural climate variability observed over comparative time periods. The truth is, the climate is changing each and every day. There are many different problems that are leading to our climate change, some of them having to do with the Greenhouse Effect, and other changes are occurring due to human activity and solar irradiance. 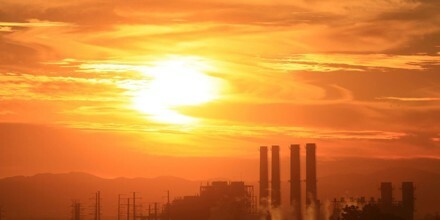 The earth is becoming hotter, whether we want to admit it or not. 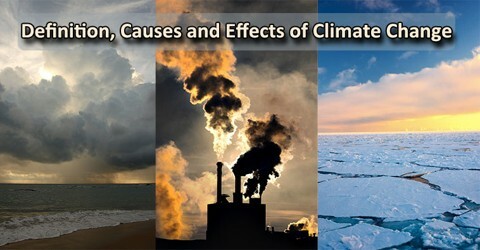 Climate change is caused by factors such as biotic processes, variations in solar radiation received by Earth, plate tectonics, and volcanic eruptions. Certain human activities have also been identified as significant causes of recent climate change, often referred to as global warming. 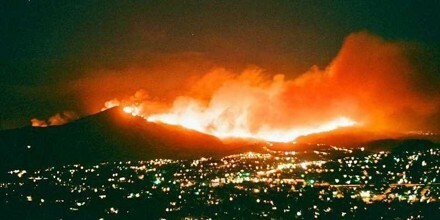 Recent climate changes, however, cannot be explained by natural causes alone. Research indicates that natural causes do not explain most observed warming, especially warming since the mid-20th century. Rather, it is extremely likely that human activities have been the dominant cause of that warming. Volcanic Eruptions: A volcano releases large amount of sulphur dioxide (SO2), water vapour, dust, and ash into the atmosphere, when it erupts. These large volumes of gases and ash can trigger climate change by increasing planetary reflectivity causing atmospheric cooling. Aerosols are tiny particles that are are produced by volcanoes. Aerosols remain in the atmosphere for only a few days and reflect solar energy back into space they have a cooling effect on the world. Ocean Currents: Variations in ocean currents can also influence climate change for short periods of time. 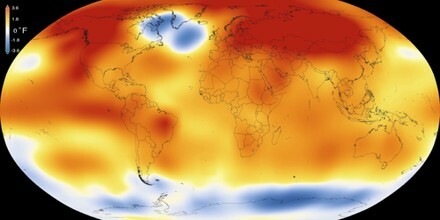 Ocean currents move vast amounts of heat across the planet. Movement of cold water deep under the oceans towards the regions near the equator and movement of warm water near the equator back towards the pole play an important role in determining the atmospheric concentration of CO2. Solar Radiations: The sun is the ultimate source of supply of energy for earth’s climate system. A small change in the output of sun’s energy can influence the climate change. These changes include changes within the sun and changes in Earth’s orbit. Changes occurring in the sun can cause climate to become warmer during periods of stronger solar intensity and cool during periods of weaker solar intensity. Studies suggests that solar variations have played a role in past climate change. Earth Orbital Changes: A slight change in the tilt of the earth can lead to climatic changes. While less tilt means cooler summers and milder winters; more tilt means warmer summers and colder winters. These small and slow changes can lead to important changes in the strength of the seasons over tens of thousands of years. Gases that Play a Part in Climate Change: Carbon dioxide also plays an important role, even though it is one of the more minor components in our atmosphere. It can be found through a variety of different processes, including respiration, volcanic activity, deforestation, fossil fuel burning, and others. The carbon dioxide that is found in our atmosphere continues to increase, making the climate change much more prominent these days than before. CFCs, or chlorofluorocarbons, which are basically synthetic compounds that are created in the industrial setting, also play a part. They are usually what plays a part in the depletion of the ozone layer. The more the ozone layer is depleted, the hotter our earth will get. Nitrous oxide is another type of gas that is often times formulated from the soil when it is cultivated. It is one of the other gases that has an impact on our climate change. Climate change can really have a lot of negative consequences. It is important to do something about it to help decrease the amount of change that occurs and make it not happen so fast. 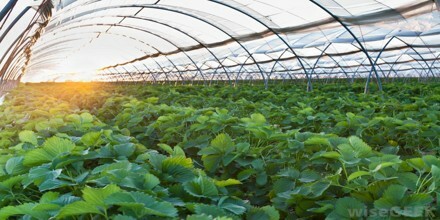 High Temperatures and Heat Waves: The continuous increases of greenhouses gases in the atmosphere has caused temperature to rise which is called as greenhouse effect. Though greenhouse effect is necessary for survival of all of us on this planet but increase of these gases beyond a limit will only create harmful effects for us and this environment. During last century, earth’s average temperature rose by 1 degree Fahrenheit which in itself is a cause of concern. 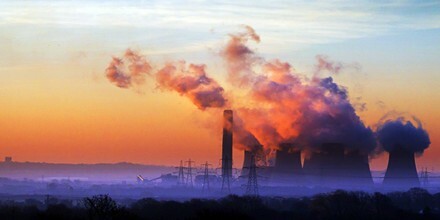 The large amount of greenhouse gases released from industries, vehicles, agricultural activities increases the concentration of CO2 and heats up the atmosphere. The increased temperature then cause heat waves and makes it difficult for people to survive. Change in Rainfall Patterns: In last couple of decades, excess rainfall, droughts, hurricanes and floods have become quite frequent. While few areas experience plenty of rainfall, then there are areas that face droughts throughout the year. Rise in Sea Level and Depletion of Arctic Ice: Some parts of the earth are going to naturally be warmer than others, but as the climate changes that means that so will these areas. Warmer conditions may also lead to other areas not getting enough precipitation, and even some areas that may get more than they should. It will also cause parts of glaciers to melt, which could lead to flooding in certain areas and could make the sea levels rise. Though greenhouse effect is necessary for all of us to survive on this planet but an increase in greenhouse gases causes temperature to rise which can result in harmful effects to the ecology and environment. 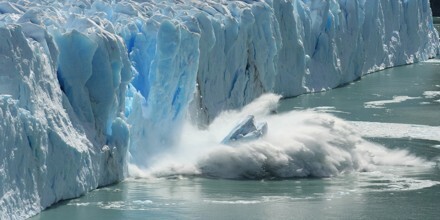 The increase in temperature of atmosphere has resulted in shrinking of arctic ice. Loss of Wildlife Species: Wildfires, deforestation, shifting habitat have caused several species to become extinct, pushed few of them towards extinction and rest of them have migrated to some other place. If experts are to be believed, one-fourth of Earth’s species could extinct by 2050. In year 2008, polar bear was added to the list of animals that could become extinct due to rise in sea level. Climate change can really be a negative force on our planet earth. It is time for us to take a look at the things that can be done to help improve the environment and help to slow down the process of climate change. If we can do that, then the world will be able to be sustainable for much longer. That doesn’t mean that climate change is completely avoidable though.